What think ye? Is the Ramadan diet good or no? 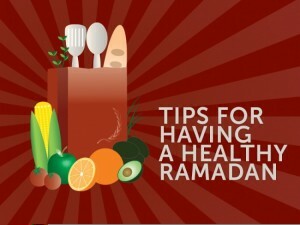 First, what is the Ramadan diet? It is not really a diet, but people usually take what people do and name it, like the barber’s diet is to eat or snack while cutting hair all day. I’m not sure if that really goes on, but back to the Ramadan Diet; this diet has less to do with what you eat but focuses more on how you eat. During the month of Ramadan for Muslims worldwide, they eat one meal a day and they do so at sunset. In essence, they consume all of their calories in one setting. Researchers wanted to know if this was healthy or no so they could spread the word. Anecdotal evidence gathered by observing doctors showed that people who eat all their calories in one setting or meal, gained more weight than people who divided their consumption in three meals. The reason why is because the Ramadan dieters put the body in what people call starvation mode. Their bodies begin to store fat for a rainier fasting day rather than to burn it right away. * This post has nothing to do with the spiritual essence of Ramadan, but just the physical results it has on the human body. Fasting is done better when it is done for days on in, as it pertains to weight loss. Have you tried fasting to lose weight only to find you didn’t, but gained weight? Tell the story in the comments below.